I have had a recurring dream over many years. In my dream I am in my childhood home and feeling a sense of dread. I never really understand the “why” of the situation, I just seem to land mid-stream into this nightmare of sorts. Whatever is spooking me sends me into utter panic, running from room to room, locking each exterior door and running to the next. So still I can hear my own breath and it sounds so loud in my head that I am sure whomever is on the other side of the door can hear me as plain as day. I spent some time recently on one of those “dream” websites. You know, the ones that define objects and common dream themes. 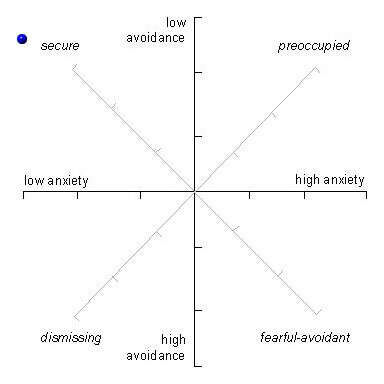 Apparently, my locked door dream is a symbol of avoidance and much of the interpretation has a lot to do with whether you are on the locked side of the door. Locked side = shutting ones self off from someone/something. It dawned on me that I have developed an avoidance of many things over the last few years. Whether my mood is up or down I still practice the art of avoidance. I guess I’ve always been a little withdrawn. Even in earlier years I was always comfortable with people and experiences- having anxiety initially, but once I warmed up I was outgoing and gregarious. I always had that shy girl inside me, but I was 60/40. Sixty percent outgoing, forty percent reserved. Infertility was the fuel on the fire that turned that ratio upside down. Now I am more 40/60, maybe even 30/70. I find it really hard, even with therapy, to be that person I was. I have great days where I see the light, and dark days (like today) where all I feel is grief and loneliness. The only place I feel grounded is here, at home, in the company of S. and David. The outside world is a constant source of stress and unfamiliarity. I still am trying to appreciate myself as a new and improved person (with some extra wisdom and compassion) but I’ve developed some bad habits that are slowly changing me and not always for the better. Arriving on-time exactly to David’s school events- it reduces the amount of time I have to mingle with the happy moms. Buying baby wipes at my local warehouse store- to avoid trolling down a baby aisle in a regular store. Unopened magazines that I just chuck in the trash- (backstory) I had subscribed to a popular parenting magazine for school-aged kids but won’t read it after I browsed a few only to realize 70% of the content was baby-related. I’ve gone from that person… a person who doesn’t hide a thing about the ups and downs of life to a person that finds it easier to small talk through an entire conversation and engage the fake smile just to avoid and move on. Even my Google Reader doesn’t go unscathed. I have many friends I’ve met online over the years, and although I follow and read all their posts, often I feel like I can’t comment (or don’t want to because I feel like I don’t belong). It has been so very, very hard. The old adage, “You reap what you sow…” has never been more true that where I am today. I am to blame for the state I am in. Just me. And that truth is becoming very hard to avoid. Oh yes, attitude is everything. We put these things on ourselves. It is so hard to see the way out. How do we start thinking differently? Shelli, THANK YOU for this post. You had me in tears because I completely relate. I've been avoiding Blog-land for the past several weeks…Partly because I'm tired of complaining and always feeling bummed out about my SIF. And partly (gulp…maybe mostly??) because almost ALL of the people on my blog roll are preggers right now. I feel like a shmuck…. happy for them, but difficult to read about for me. So I just avoid. It's much easier for me to "handle" emotionally that way.Real-life situations pertain as well. 2 very pregnant teachers at my school…I avoid them like the plague. My daughter's ballet teacher whom we only see 1x/week is also PG… sadly I can't "avoid" her.Anyway, I thank you for your honesty and candor.HUGS! Thank you for posting this – very moving. The grief is still raw, isn't it.